You don't need to bring a partner, and most people don't; we switch partners every dance anyway. We dance every Saturday from 2:00 to 4:00 at Trinity United Church, 461 Park Avenue (near Davis and Main), Newmarket. Upcoming exceptions: There will be no class on June 15 when we're going to the Colin Hume dance weekend in Toronto. Parking: You can park in the parking lot to the west of the church (by the daycare, which grounds are also owned by the church). If that is full, you can sometimes find a spot on Main Street. Or, there is a "green P" parking lot just off Main Street (on the east side) which is apparently free and I believe always has spaces. English Country Dance is graceful and stately, and quite a lot of fun. You may have seen English Country Dance in Jane Austen movies. No dance experience required. All dances are taught! Admission is by donation, and your first class is free. Wear comfortable shoes that you could go on a two-hour walk in (high heels are ill-advised). Two feet are useful, but if they're two left feet we'll still teach you and you'll still have fun. Please avoid perfume and scented grooming products. 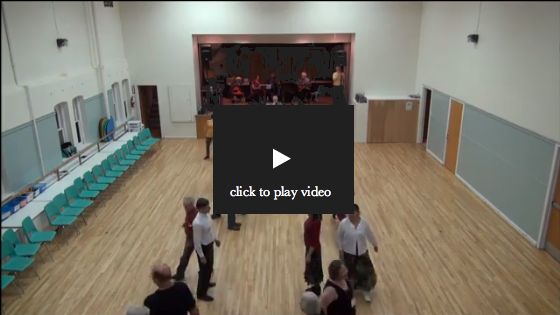 If you are a Scottish Country Dancer, click here. If you are a Square Dancer, click here.